This Aberdeen SD’s Kent Arment at the Test&Tune at Dakota State Fair Speedway in Huron, SD. He’s something of a local legend, with over 600 feature wins since 1990. 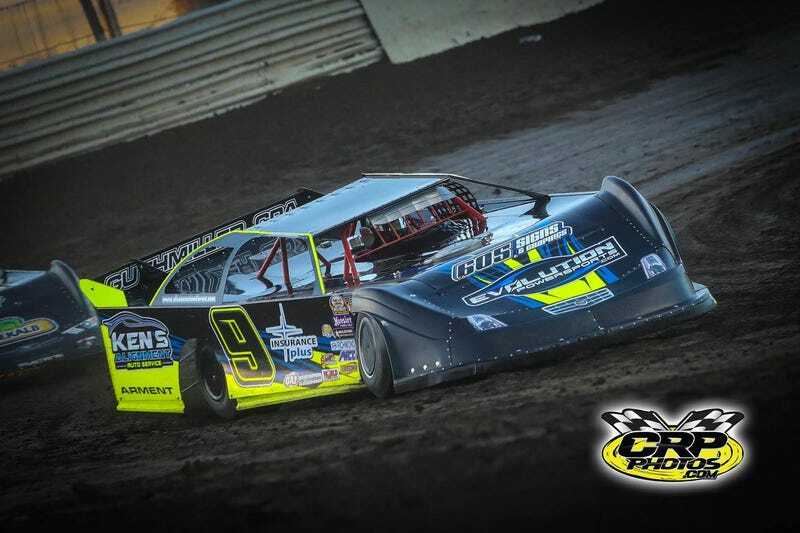 He runs a WISSOTA Modified as well and jumps back and forth between the two cars during a race night. He races 3 nights a week in the summertime and it’s not uncommon for him to get 3-5 wins a weekend. Here’s an article from back in 2011 when he got #500. Also, if there is a dirt track near you, go this summer. It’s inexpensive motorsports fun. Better yet, go a few times, go to the pits, find some favorite guys to follow and keep up with them. Watching is much more fun when you have someone to pull for.